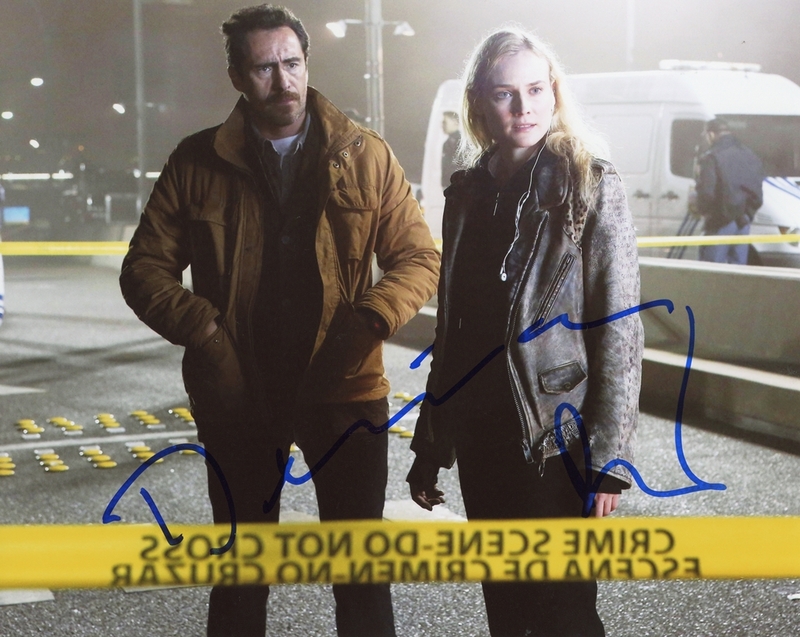 We never sell copies or reproductions of any kind; this photo has been hand-signed by Diane Kruger & Demian Bichir. Diane signed this photo in-person at the Apple Store in New York City on August 9, 2016. Demian autographed this picture at the premiere for The Hateful Eight in New York City on December 14, 2015.